Two 4.75" x 7.75" waterslide decal sheets; colour instructions. 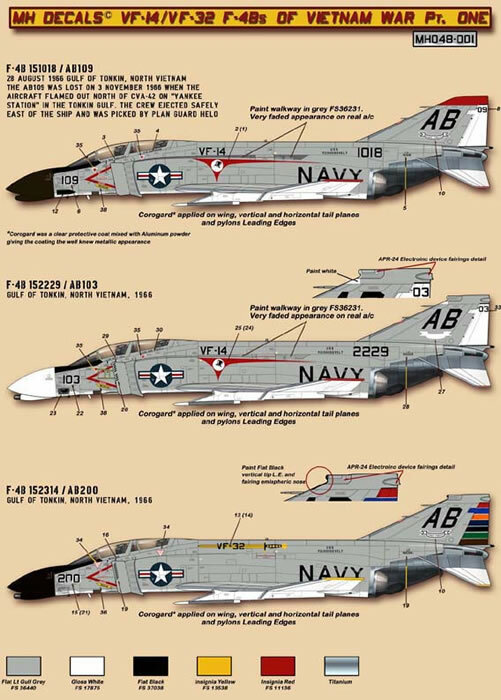 First time decals for "Tophatters" and "Swordsmen" F-4B Phantoms in service in the Vietnam War have been offered; high quality decals; detailed full colour instructions. This is a high quality decal offering for subjects that have not been available previously. It will be welcomed by Rhino and Vietnam War aficionados. 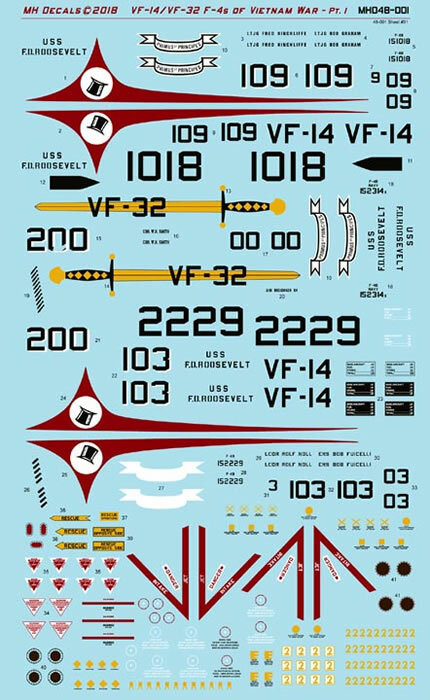 Meridia Hobby Decals is a new company that has launched its first two sets of decals. Both of these cover "Tophatters" and "Swordsmen"F-4B Phantoms in service in the Vietnam War during their 1966 / 67 combat cruise. 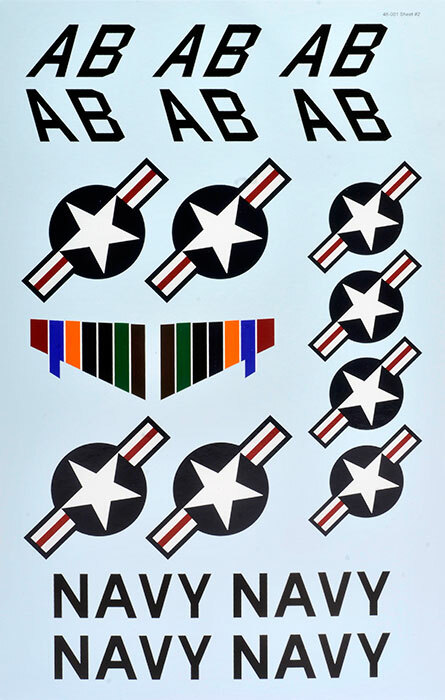 This is the first time that decals have been offered for F-4B Phantoms of these units. MH048-001 "VF-14/VF-32 F-4B PHANTOMS OF VIETNAM WAR - PT. ONE"
Two 4.75" x 7.75" decal sheets are included. Tail codes and "NAVY" lettering is printed in black. The decals are perfectly printed by Microscale. Colours and registration look good. Instructions are provided on a double-sided, folded A4 sheet in full colour. These include illustrations of all three subjects and various relevant notes. Thanks to MH Decals for the information and images.